In the 21st century, virtually every film lover with a good movie IQ knows the secret of Soylent Green. It's a punch-line that is surpassed only by the climactic revelation of another Charlton Heston sci-fi film, 1968's Planet of the Apes. Still, our familiarity with the movie's final narrative "twist" does Soylent Green, directed ably by Richard Fleischer, little disservice, for the film is a brilliantly-crafted example of dystopian futurism; a daring vision second only, perhaps, to Blade Runner. And like that 1982 Ridley Scott classic, Soylent Green utilizes the parameters of a familiar genre -- the police procedural -- to weave its caustic story of a future world gone awry. This is a future noir; a detective story that boasts a devilish but cunning endgame: to lead the viewer, bread-crumb by bread-crumb to a commentary on the "path" mankind is currently on; and to a grim destiny it may not be able to evade if humanity doesn't change its ways. In the crowded, over-populated, global-warming ravaged year of 2022, Detective Thorn (Charlton Heston) and his researcher, Sol (Edward G. Robinson) must solve the murder of a Soylent Corporation executive, Simonson (Joseph Cotton) at the ritzy Chelsea West. As Thorn questions Simonson’s body guard, Tab (Chuck Connors) and mistress, Shirl (Leigh Taylor Young), he comes to suspect that the murder was no simply break-in, as was believed. Rather, it was an assassination. In particular, Simonson knew a secret about the popular protein food wafer, Soylent Green…one that could up-end the very social order of life in over-stressed New York City. When Sol learns the horrible secret of Soylent Green, he chooses to “go home,” a euphemism for being euthanized by the State. Thorn witnesses Sol’s going “home” ceremony, and gets a look at the beautiful Earth as it once was, before man soiled it. Based on the novel "Make Room! Make Room!" by Harry Harrison, Soylent Green evidences an authentic apocalypse mentality. It is a gloomy vision of the year 2022. New York City is populated by some forty million people; twenty million of them out of work. The city streets are bathed constantly in a nausea-provoking yellow haze, a result of "the greenhouse effect" of global warming. Meanwhile, the innumerable homeless denizens of this urban blight sleep on staircases, in parked cars, and street corners, all-the-while suffering in roasting temperatures (the average daily temperature according to the film is 90 degrees.) The Big Apple experiences numerous power black-outs in the film, yet it isn't just the city where things have turned bad. We also learn from the dialogue that the oceans "are dying," "polluted," and that there is very little good farmland remaining in America. As for Gramercy Park, all that's left of the foliage there is a pitiful sanctuary where a few anemic trees grow in relative safety. Food supplies are incredible tight, and there is strict rationing of supplies. And in what is perhaps its most visually-stunning sequence, Soylent Green escorts the viewers to an outdoor urban market on a typical Tuesday ("Tuesday is Soylent Green Day!") and reveals what happens when supplies of food are exhausted. There's a riot, and then a violent confrontation between helmeted police forces and the throngs of starving people. It looks like a contemporary WTO riot multiplied by a factor of a hundred. To wit, there is no middle-class remaining in New York City. It's extinct. In this U.S. imagined here, you're either part of the teeming, homeless, starving masses that inhabit every nook and cranny in the metropolis or separated from the poor and the unpleasant squalor of street life in glorious and luxurious apartment complexes. There, in spacious air-conditioned quarters, the super-rich play video games on home consoles (another nice bit of prophecy for 1973...), enjoy hot and cold running water (another luxury denied the masses), purchase black market items like real vegetables and beef, and are protected by security systems. The rich also get another perk with their fancy domiciles: “furniture.” But in this case, “furniture” is the name for prostitutes, gorgeous young women who perform sexual acts for their masters in return for food, water, and the other luxuries of life. Charlton Heston, again fronts what is undeniably a leftist science-fiction vision, and does so as only Heston can: with swaggering charm, arrogance, and unswerving intelligence. In this case, he plays Detective Thorn of the 14th Precinct; a man who is a product of his time; meaning that he is mostly ignorant of history and just trying to survive and do "his job." Thorn is just one among many corrupt cops. For instance, when he's assigned to investigate the murder (actually an assassination) of a rich man, William R. Simonson (Joseph Cotten) of the Soylent Corporate Board, Thorn steals as much as he can from the crime scene. He takes a bottle of bourbon, some refrigerated beef (a rare commodity), and a few reference books about Soylent Green, a tightly-rationed "miracle food" that is ostensibly based on Plankton and other sea life. Thorn also partakes of another luxury in Simonson's apartment, the aforementioned “furniture." In this case, said furniture is a woman, Shirl, who comes with the apartment, regardless of tenant. She’s just looking for a way to survive too. Investigating the death of Simonson, Thorn is assisted by an assistant or colleague called a "Police Book." Since electric power routinely goes out, there are no longer any reliable police information databases, Google searches, or other electronic systems to rely on. Instead, every detective has an assistant or partner, a "book," a researcher who marshals what resources he can (including an elaborate “Book Exchange" – a kind of person-to-person Internet) to learn about relevant suspects and perpetrators. Thorn's "book" is named Sol Roth (Edward G. Robinson), an elderly man who remembers how things used to be: wide open spaces; beautiful oceans; untouched fields, and food aplenty. He recalls a world of hot/cold running water, "real" butter and strawberry jam that didn't cost $150.00 per jar. In one of Soylent Green's finest and most memorable scenes, Sol prepares for Thorn a dinner like the ones he used to eat years earlier; one that includes crisp apples, beef stew, and other lost delicacies. The time and attention spent on what viewers today would consider a normal meal -- but which to these characters is a once-in-a-lifetime extravagance -- makes a cogent point about a life of limited resources; and a booming population's overtaxing of the planet. These little things that we take for granted are suddenly big things. Suddenly, the engaged viewer realizes how "lucky" we are in America; how we live in a world of plenty. We also realize how fragile that status of “lucky” might be. A later scene involves Thorn taking his first hot shower in months (with Shirl as his companion) and again, Soylent Green deploys simple imagery to make its point. The movie focuses on the small, human things to establish a truly miserable future. The quiet, intimate nature of the dinner scene and later the shower scene not only establish much in terms of character relationships (for instance, Thorn doesn't know how to eat an apple...), but also reinforce that recurring idea of those things lost in this future; in the hustle-bustle of so-called "progress." It's all extremely touching and yet markedly unromantic and unsentimental too. There's no candy-coating in Soylent Green about days that were better in the past; when the human animal was a better species. "People were always rotten," establishes Sol. "But the world was beautiful." In other words, man was just as bad in the past, but he had some environmental leeway, at least. In this world of 2022, he has none. Stylistically, Soylent Green is a much more accomplished film than it has often been credit for. It begins impressively with sepia tone images from American history joined together in a tightly-edited montage. We see in old photographs the advancement of technology during the American century; the rapid progression from a rural, agricultural country to an industrialized one. The movie escorts us in this montage from Huckleberry Finn-style views of wide open spaces and serenity to -- over just a few seconds of screen time -- overpopulated, bustling modernity. As the montage continues, the images come at the viewer faster and faster; form echoing content. The world of the cities, of airplanes, of cars, moves faster than the world of covered wagons and farmers so it's natural the images would move quicker too. Again, it's a touching and surprisingly effective way to commence a science fiction film, and it puts a larger context upon the story. This montage reminds the viewer where we've been, before taking us where we're going; into the uncertain future. It also connects explicitly our behavior in the past to the results that behavior creates in the present and future. 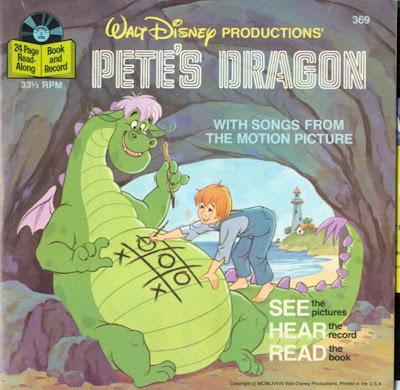 Later, the film's most often discussed scene occurs. A depressed and hopeless Sol Roth goes "home," to a place in the middle of the city (which resembles a sports arena...) where he can be quickly and cleanly euthanized by the State. In this location, he's provided a twenty-minute death ceremony in what looks like an I-Max theater and comfort salon, with the images of his youthful world projected all around him. Sol sees beautiful oceans, wild deer, endless fields of flowers and so forth, all while bathed in a light of his favorite color (orange) and to the tune of his favorite genre of music (classical; or “make that light classical”). 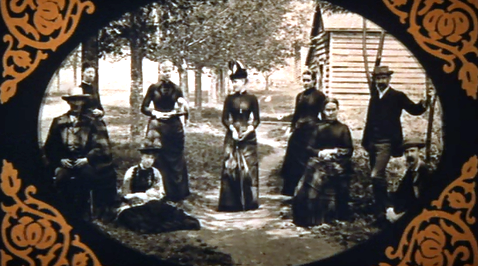 This death montage, like the montage presented at the beginning of the film, reminds audiences of the past; of what has been lost in the modern technological age. It's important in the film not just as a tender goodbye to Sol. On the contrary, Thorn witnesses these amazing scenes too...and weeps at the power of them. He is a man who has grown up in the "ugly" future world -- a place literally devoid of nature -- and come to accept the limitations of his world. He didn't know, nay "couldn't have known" what the world once was. And so his mentor, Sol, has passed on one final bit of wisdom to him; to the next generation: a natural vision of what human existence COULD be. Until Thorn sees this pastoral montage, he didn't really know that there was an option; didn't really understand what had been lost in the crush of industrialization and over-population. Soylent Green is a film dominated by powerful, stunning imagery. One vision that struck me, and which I had forgotten about entirely before a recent re-watch, finds Thorn stumbling upon the corpse of a woman in an alley by dark of night. Strapped to her by a makeshift wire leash is her still-living -- and weeping -- child. This image speaks of the film's narrative context in a manner that dialogue or exposition simply cannot. The child was strapped to her mother, no doubt, because Mom didn't want them to be separated from one another in the maddeningly overpopulated streets, perhaps at the outdoor food market. So she jury-rigged this leash of sorts to keep them together. What Mom couldn't have predicted was that she would die (either of starvation or perhaps she was murdered...) and that the child would still be anchored to her; trapped. But what is so meaningful about this image is that it remains wholly un-sentimentalized. Nobody comments on the event or the tragedy at all. Heston's character "rescues" the child by taking the little moppet to a nearby church. But he says nothing and offers no commentary. The movie has no “words” for either the child or the dead parent. This scene is so "normal" in the world of Soylent Green that it isn't worth a passing remark, even an exclamatory curse. Instead, the filmmakers just silently observe a devastating moment. In the cutthroat world of Soylent Green, there is no time to for self-aggrandizing hand-wringing. It’s too late for that. Life is too difficult. Millions of tragedies go unnoticed on the streets every day, no doubt. Why is this gruesome sight of a dead mother and trapped child any different? The film's ending also speaks to this truth in some fashion. 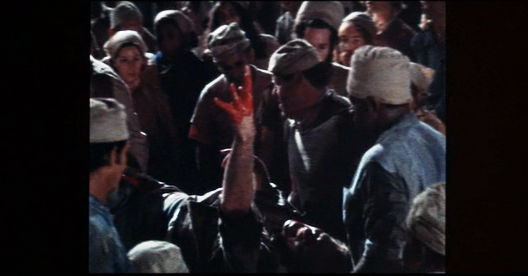 The film offers a tight zoom on Thorn's bloody arm and hand as he is carried away on a stretcher. He shouts the truth for all to hear ("Soylent Green is made out of people") but he goes, essentially, unheard. We understand this because the film goes entirely black around his gnarled, dying hand, in essence restricting Thorn’s presence in the frame. The frame itself has shrunk. The association with this image is that the truth in Soylent Green's world can't be heard; it holds only a "sliver" of space in the overlapping, multitudinous dialogue of a City-State overrun and failing. If you're so inclined, you can gaze at the things Soylent Green gets wrong and laugh at the picture, I guess. Charlton Heston wears neckerchiefs throughout the film, an odd and flamboyant fashion choice. There are rotary phones in evidence too, in 2022! But on balance, Soylent Green gets more right about "the future" than it gets wrong. It accurately predicts the erosion of the middle class, the obsession with global climate change, and the ever-growing and corrupting nexus of politics with corporations. Specifically, the Soylent Green Company and Governor Santini are in on a deep dark conspiracy. The specter of "illegal immigration" and a "third world invasion" that some pundits now fear so greatly is also bubbling just beneath the surface in the film. Just look at how many of the extras in the film are non-whites or non-Europeans. In addition to these still-relevant themes, Soylent Green is a handsome production. There are some remarkably effective matte paintings in the film; ones that still hold up well. And Fleischer makes good use of his "extras," filling every frame and every moment of the film, save those at the spacious apartment at Chelsea West, with unkempt, exhausted-looking, world-weary bodies. Soylent Green presents an oppressive, dark future. There's no "out" for the characters as there is in Blade Runner, for instance, with the inclusion of the off-world colonies and other worlds to explore. Indeed, Shirl suggests "running" at some point to Thorn, and he rightfully replies "where are we going to go?" Every city in America is just like this city; and it is illegal to leave the country. In bringing forward this point, Soylent Green suggests that if we don't change our ways, we will all be living in a purgatory of our own making. I first saw "Soylent Green" on TV as an elementary school-age kid in the late 1970s. My lingering memory of it was of Charlton Heston and Edward G Robinson marveling over this limp, greying steak and a wilted stalk of celery, while Heston rubs his sweaty neck with a dirty bandana. For decades afterward, whenever I heard the term 'global warming,' that image always came immediately back to mind. When TCM re-aired "Soylent Green" last year, I watched it again for the first time in nearly 35 years. My impressions were very similar to yours in the post above. Among the things that struck me while re-watching it as an adult was the concept of "furniture" and the physical abuse thereof by the apartment manager/pimp. While I had remembered the girl and the murder mystery, I was left to speculate whether some of that more 'adult' content had been deemed to strong for 1970s TV and been edited out, or whether it simply didn't register with me as a 10 year-old. As a contemporary viewer, I also thought that the film had a distinctly Watergate-influenced government conspiracy aspect. I was not surprised when a quick Wikpedia search revealed to me that the infamous Watergate break-in occurred in June 1972, and that this film was released theatrically 10 months later, in April 1973. The Wikipedia entry for "Soylent Green" also states that Edward G Robinson apparently died just 12 days after filming ended in January 1973. When the film aired on TCM last year, it was also accompanied by some sort of 'making of' documentary that suggested Edward G Robsinson had only told his real-life friend Charlton Heston that Robinson had been given just weeks to live by his doctors immediately before filing of Robinson's death scene, and that Heston's emotions on-screen reflect his real life shock and grief. One novel with an eroded middle class is I Will Fear No Evil by Heinlein. Also check out the short story pastiched by Harrison himself, Roommates. Great review as usual JKM. I saw this on a drive-in double bill with Westworld which was 70's sci-fi heaven by definition. Just wanted to chip in as I usually do that Heston's politics never fit the rigid "right wing nutter" cliche that unfortunately is how people see him thanks to "Bowling For Columbine" and, ok, honestly, his own statements (too often taken out of the context of his life). Heston marched for civil rights at a time when it was dangerous for a Hollywood celebrity to do so and had the power to choose and influence his highly political late 60's-early 70s SF films (there's an old STARLOG interview where he discusses this and how his politics related to it). He was a conservative, inarguably, but a thoughtful one who actually held to his principals - closer to what we now call a "libertarian" philosophy. My own politics are much, much closer to Michael Moore's but it's revealing that the Heston SF trilogy (POTA, Soylent Green, The Omega Man) are political films that (I would venture) are one hundred percent reflective of both Moore's and Heston's own personal philosophies.